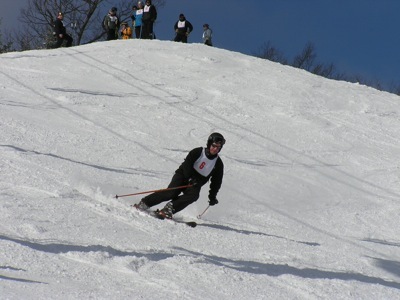 The NSP Board of Directors, the National Senior Committee, and division ski and toboggan advisors have developed a national-level ski & toboggan training program that provides consistency, standardization, and quality in a supportive environment. 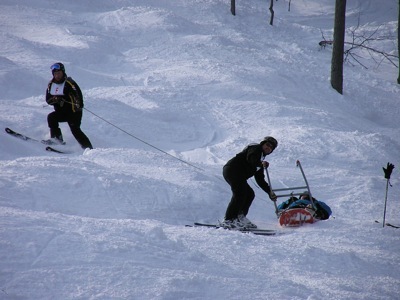 The Senior Patroller Outdoor Emergency Transportation (OET) program has nationally established guidelines and requirements, to which neither division advisors nor regional ski & toboggan administrators can impose additional requirements. 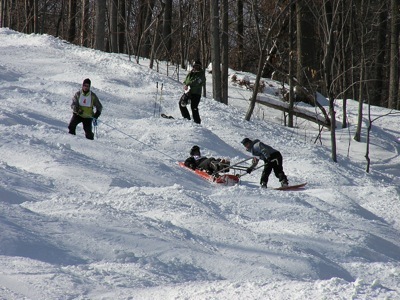 Are you qualified to participate in the Senior Patroller Outdoor Emergency Transportation Program? 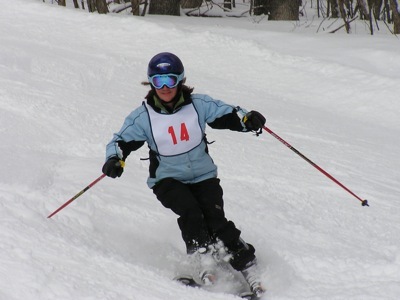 Patrollers may apply for participation in the Senior Patroller program at any time after becoming a NSP member, obtaining Patroller status, and obtaining their Patrol Director's recommendation. 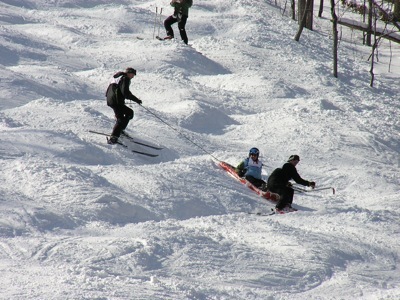 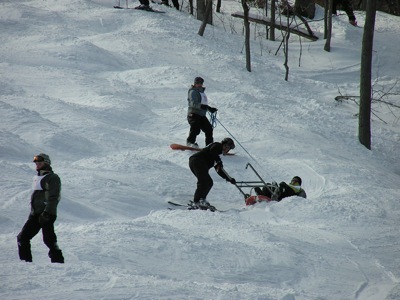 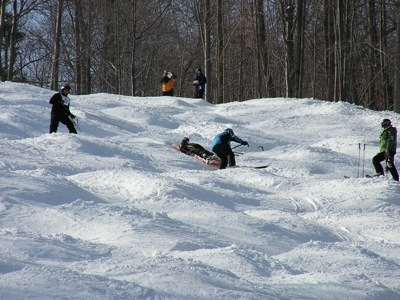 Skiing and toboggan handling skills should be proficient on “More & Most Difficult” terrain. 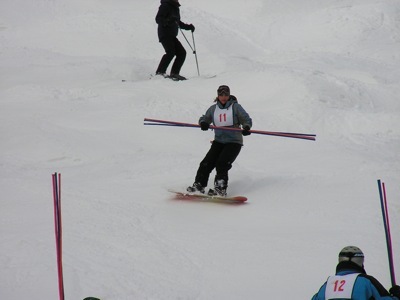 Participation can be with alpine skis, telemark skis or snowboard. 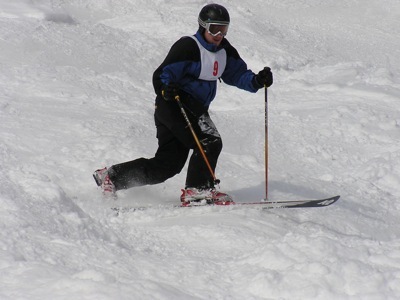 Applications for participation in the Regional Senior Patroller ski & toboggan program can be obtained by contacting the Regional Ski and Toboggan Administrator. 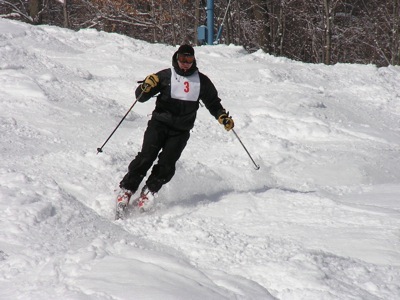 The Senior Patroller ski & toboggan program is broken down into three separate stations for clinic and evaluation purposes; they are skiing skills, Patroller skills and toboggan skills. 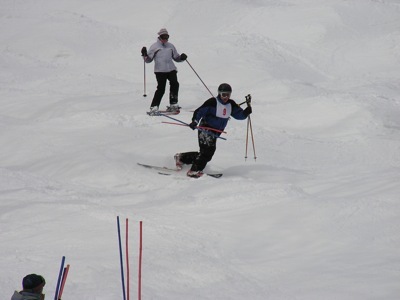 For skiing skills the candidates are trained and evaluated on their ability to perform carved short, medium and long radius turns on varying terrain. 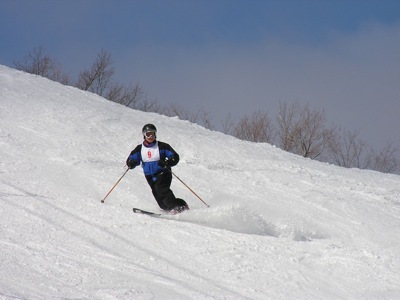 For Patroller skills, candidates are trained and evaluated on their snowplow, sideslip and transition skills, as well as equipment carry and crud skiing. 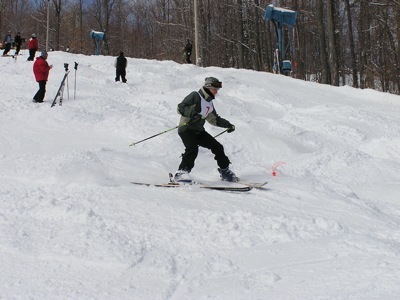 The toboggan skills station clinics/evaluates candidates skills at loaded toboggan, front and rear, and empty toboggan run. 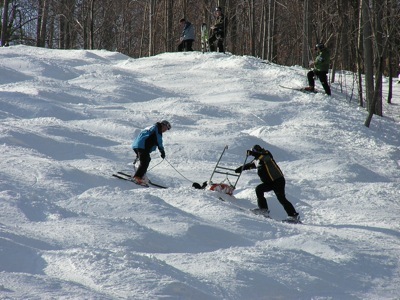 Clinics and evaluations will be held on Senior Patroller-rated hills with more to most difficult terrain. 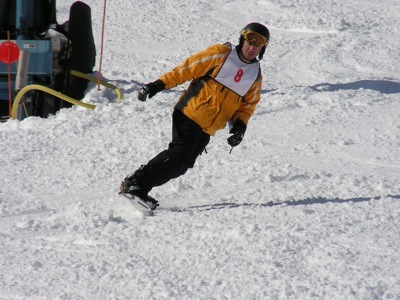 There are two formats which the Regional Outdoor Emergency Transportation (OET) Trainer-Evaluators use to evaluate Senior Patroller candidates; they are the Senior Patroller Clinic/Evaluation and the Senior Patroller Challenge. 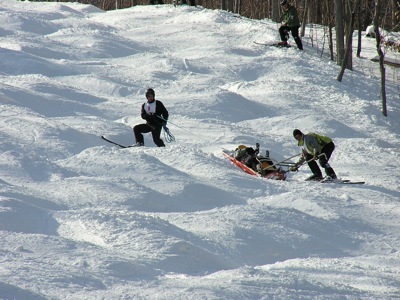 The Senior Patroller Clinic/Evaluation is a two-day event in which Senior Patroller candidates participate in clinics and evaluation over a two-day period. 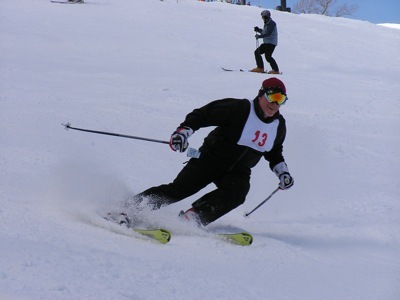 The advantage of this format is that it gives candidates an opportunity for practice and improvement over the two-day period and gives the Trainer-Evaluators a longer time to evaluate the candidates. 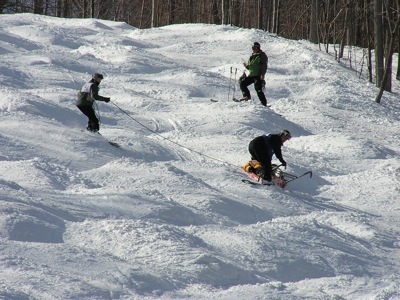 This format also reduces the possibility of the candidate being unsuccessful in a station due to a “bad run”, misunderstanding, nervousness, etc. 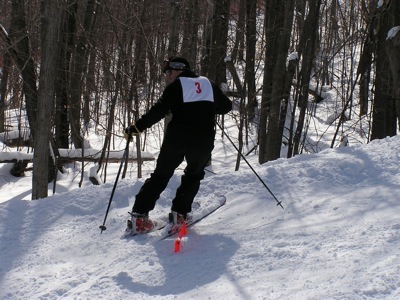 The Senior Patroller Challenge is a one-day event in which Senior Patroller candidates are shown demonstrations of the required skills by Regional Trainer-Evaluators then asked to perform the skills themselves. 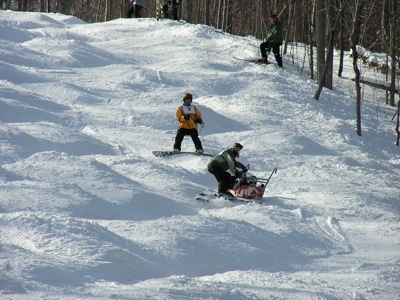 This format takes on more of a testing atmosphere, with little time for practice and training due to time constraints. 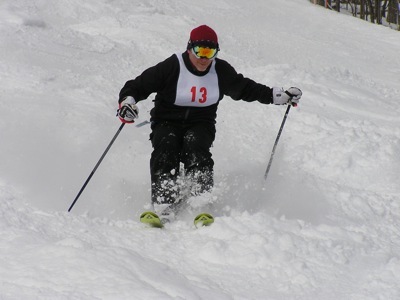 The challenge format is not for everyone, but if you are competent and confident of your Senior Patroller ski & toboggan skills it can be a challenging and rewarding way to be successful in the program.